Spend less time on planning and paperwork… and more time celebrating your students’ achievements. and efficient, so you can get back to the reason you became a speech-language pathologist: to help students succeed. Fellow SLP: What if you could create your speech therapy plans for the week in just 10 minutes while getting ahead on reporting, billing, and IEPs? Finding that hard to believe? We get it. Plagued with the nagging fear that despite the graduate school courses; the internships; the completion of your CCC’s...you're not doing your job "right"
learn new strategies, and help your students succeed. Good News: Your life as an SLP can be easier (and even more fun)! no matter the size or diversity of your group. If you've ever had students walk through the door and thought, ‘What are we going to do today?’, you’re not alone. With the SLP Now® membership, you’ll get instant access to an organized library of 1,000+ (and counting!) evidence-based speech therapy materials to help you differentiate your therapy in a matter of minutes. With the SLP Now® membership, you’ll get instant access to an organized library of 800+ (and counting!) evidence-based therapy materials to help you differentiate your therapy in a matter of minutes. No more scouring online stores or search engines for materials that might fit the theme you’re looking for, only to find they’re not research-based. No more carting armloads of materials and binders around, hoping you’ve grabbed everything you need. 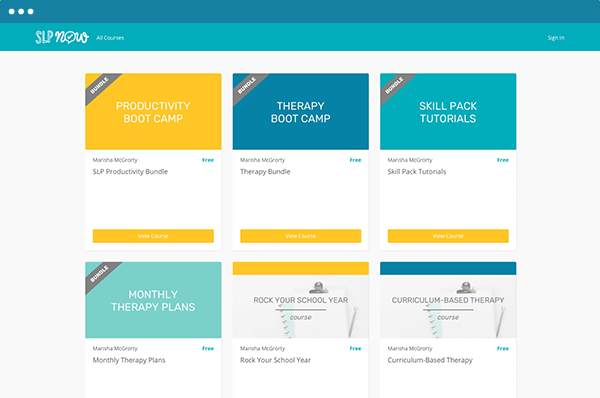 Go into your therapy sessions knowing you’re equipped with evidence-based materials and data-driven therapy plans -- plus all of your students’ goals, progress, and sessions in one central place. Finally say bye to those working lunches… for real! All in a streamlined system stored on a HIPAA-compliant server. Keeping your data secure is our #1 priority! Whether you’ve been an SLP for 24 months or 24 years, we all experience feelings of loneliness… like no one really gets it. When you join SLP Now®, you’re welcomed into the community of SLPs you never knew you needed. Connect with SLPs for ideas and inspiration. Attend our virtual academy alongside other SLPs. Want to finally organize your speech room or build your toolbox of evidence-based strategies? We’ve got you covered! Earn professional development hours for completing courses. You support your students day-in, and day-out… no matter what it takes. It’s your turn to get the support you need. get back to doing what they love. Unlimited students + sessions. Up to 5 materials downloads. No credit card required! Visiting from a school district? Click here to submit your order! "Holy moly. It’s hard to put into words what Marisha has created with this program. This has truly been my lifeline this school year. I spend about 10-15 minutes (no joke!) every Friday afternoon prepping for the entire next week of therapy. SLP Now provides evidence-based materials for every. single. student. on my caseload. There are literacy packs, skills packs, assessments, and crafts. Most of the time, I just print and use immediately!" Just how much time will you save with the features of an SLP Now® membership? I was working countless hours -- starting work at 5am, skipping lunch, dragging home paperwork -- just trying to keep up with my workload. 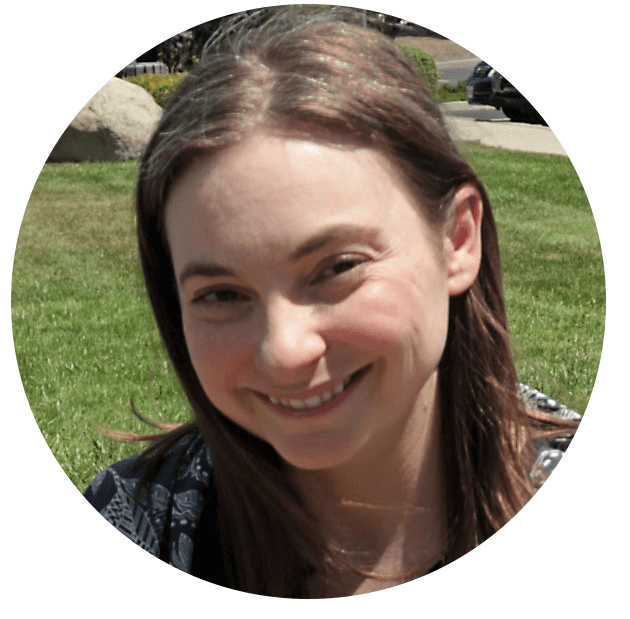 I wanted to provide my students with the services that they deserve, but I was quickly spiraling towards burnout. That's when I started doing my own research to create materials and tools that make my job easier. 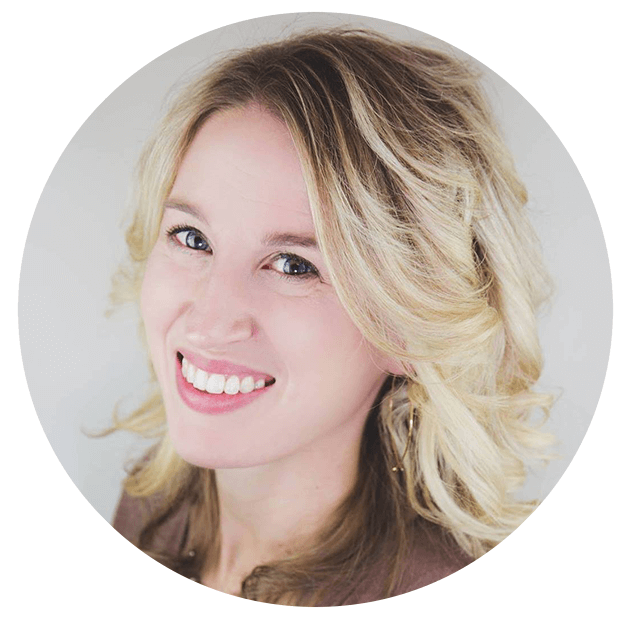 Before long, my overwhelm was minimized and I started loving my job again. I finally had a life outside of school! I created SLP Now® so that you can, too! From your CF year to your 30-year anniversary, SLP Now® helps keep your stress levels low, your ideas flowing, and your practice succeeding… for a fraction of the cost (and time!) of piecing together other solutions. You’ve done the hard work of getting through school and certifications... yet the real work is just beginning. Reduce the overwhelm of being new and create your best systems from the start! You’ve got the experience and love your work, but you’re looking to relight the fire and see your students go even farther. Refresh your ideas and think outside the box to avoid burnout and handle the transitions that inevitably come. You know the value your SLPs bring -- and you want to empower their success in a way that supports how they work. Support your SLPs by providing the materials and tools that’ll help them -- and their students -- reach their goals. The SLP who wants to keep working around the clock, taking time away not just from their students, but from their families. The SLP who’d prefer to spend hours scouring Google and Pinterest for something evidence-based and printer-friendly, and hundreds of dollars on that conference hoping to meet SLPs in their shoes. The SLP not willing to invest in their sanity. Simply put: SLP Now® was built for the SLP who wants to work smarter, not harder. "SLP Now provided a centralized system for me..."
Start your risk-free, 14-day trial today! What happens when I start a free SLP Now® trial? First thing’s first: We give you a virtual high five (and hope you reciprocate!). You’ll have instant access to the membership once you fill out the sign-up form! No credit card required! What ages is the membership for? The themes in the membership are geared primarily towards preschool/elementary students at this time. The skill packs can be used with a wider range of students (from preschool to high school). Skills addressed range from basic concepts to context clues, and following directions to summarizing. We are constantly building our library. We add new materials several times a month, prioritizing the materials that you request! I don't have money to buy all of the books. Any suggestions? Yes! There are apps that you can use to download books digitally (for free!). We're also happy to point you towards other resources! When’s the best time to join SLP Now®? A few hours getting set up now saves hundreds of hours down the line, so now is a great time to join SLP Now®! The minute you join the membership, you get access to all past materials, as well as everything new that’s added! How often is SLP Now® updated? In addition to the hundreds of materials, you’ll have instant access to when you join SLP Now®, we also add/update new materials several times a month and are consistently making improvements to our caseload management tools! We hate to see you go, but of course! You can cancel your membership at any time, just click the "Cancel" link on your account page. Yes! E-mail us at hello@slpnow.com to get started. We offer group discounts and are more than happy to work with your company or school district. What if I need help using SLP Now®? Consider us your personal SLP team. We’re here whenever you need that extra support. We can always be reached at hello@slpnow.com or the teal speech bubble on the bottom of your screen! 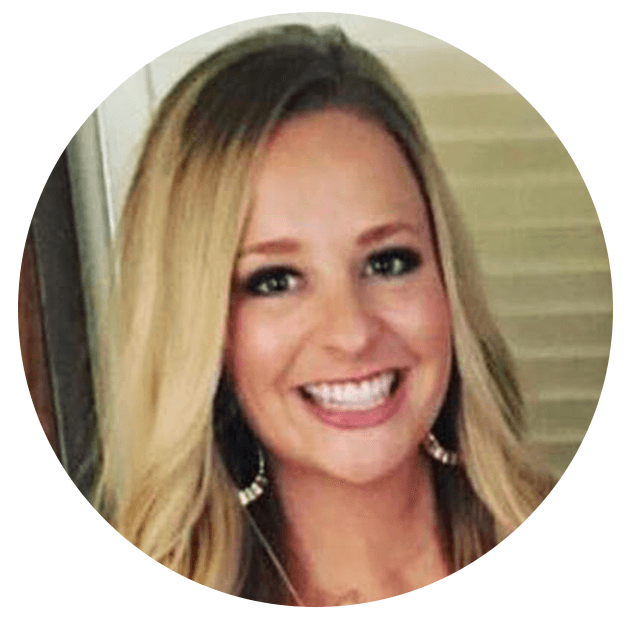 The membership was created by Marisha McGrorty, M.S., CCC-SLP. 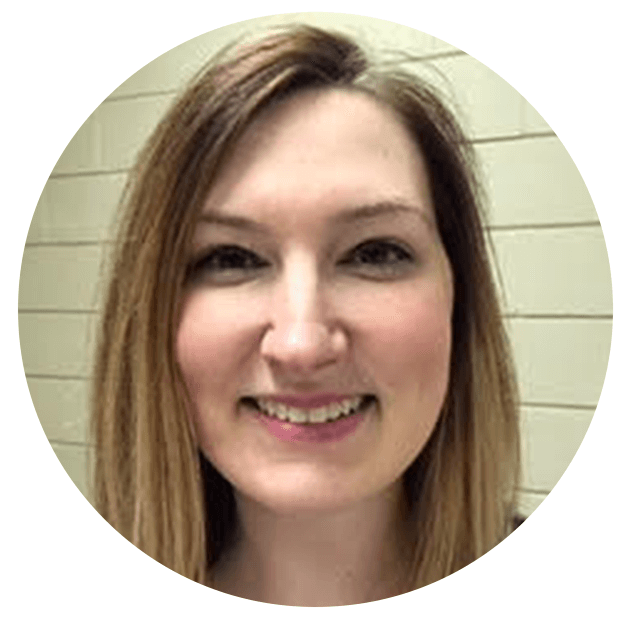 She is a school-based SLP who is on a mission to help SLPs work smarter. Click here to read more about her story. Click the speech bubble at the bottom of your screen to get ahold of us anytime! 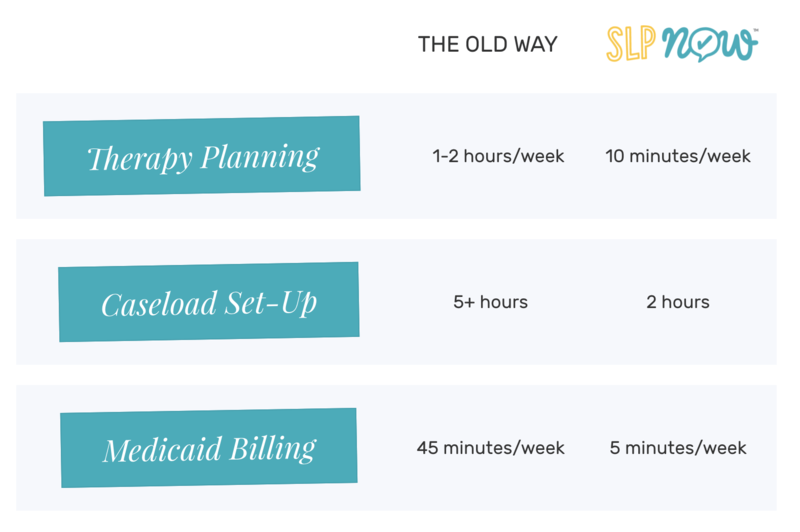 Don’t waste another minute wondering why you didn’t start saving hundreds of dollars and hours (and a heck of a lot of stress) with SLP Now® sooner. Start your no-risk trial today!